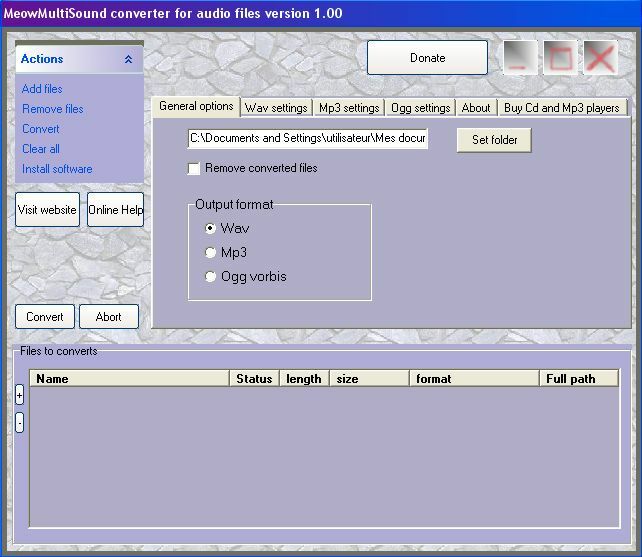 MeowMultiSound is a free sound converter that supports mp3, wav and ogg sound files. It allows to convert files in both direction. For example you can convert wav to mp3 and mp3 to wav. You can convert aswell from a wav file to an other wav file with other specifications. Or for example change a stereo mp3 file to a mono one. Features drag and drop support and an option to generate Id3v1 tags common to several files.